Incorporating A E & F A Still and Church Organs Ltd.
B C Shepherd commenced the business in 1927 at Shepherds Bush, West London, having previously worked for Messrs. A Noterman, J W Walker & Sons, and the Aeolian Company. 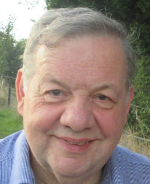 In 1958 his eldest son John started to work with his father, and they were joined by the younger son Eric in 1970. B C Shepherd continued working until his death in 1971, since when his sons have maintained the business under the direction of John who for several years had been in partnership with his father. Since 1964 the business has been operating from Edgware. 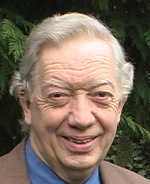 The name of the firm was changed to B C Shepherd & Sons in 2000. At present there are three full time and several part time workers. The firm is currently kept busy with rebuilding and restoration work and with over 150 tuning contracts, mainly in the South East of England, though with 12 in the Republic of Ireland. Clean and overhaul, refittng of console and installation of solid state switching and piston action. Minor tonal modifications, Addition of Pedal Trombone. Bishop1895/Percy Daniel 2 manuals 30 speaking stops. Restortion of Great Slide chest and fing of slide solenoids and slide seals. and fittng of new solid state switching and piston capture system. Cleaning and minor tonal alterations. Kingsgate Davidson 1961, part straight, part extension 2/32 speaking stops. Refittng of console, new solid state switching and piston capture system, overhaul of Trombone chest. 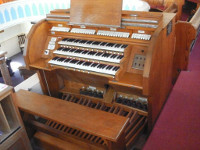 3 manual Compton 1933, using parts of previous organ. 3 manual, 24 ranks extended to 75 speaking stops. Clean and overhaul, and replacement of approx. 1200 chest magnets, new chests for 32ft reed bottom octave. Compton house organ built 1922, installed and enlarged at St Lukes 1932. 3 manuals 26 ranks extended to 101 stops. New solid state switching and piston capture system. Replacement of swell drawstop acon with slide solenoids. Releathering of High pressure bellows. 2 manual Walker 1937. 35 speaking stops. Rebuild and minor tonal alterations, HNB 2/20. NEWBURY METHODIST CHURCH, BERKS. 2013-14. 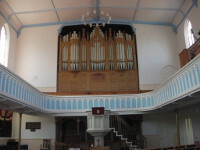 Partial dismantling of organ for major building work, and reinstatement, releathering of bellows, restoration of Swell and Great actions, replacement of Choir drawstop action, overhaul of Pedal chests, New solid state switching, and piston action. Hunter 1898 / Gray & Davison 1963, 3/35 stops. 2/12 Rothwell organ, clean & overhaul, new pedalboard. Cleaning & Overhaul, restoration of keyboards and pedalboard. Hill Norman & Beard 1961, 3 manuals 43 speaking stops. 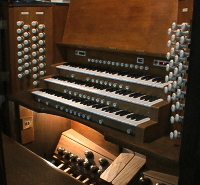 Installation of 1966 Willis Junior Development organ from Chapel of Merchant Taylors School, new solid state switching. 1 manual & pedal 7 stops. replacement of action lozenges, and of Great & Pedal reed stops. Peter Collins 1983, 2 manuals 21 speaking stops. from Mill Hill School, installed at Holy Cross 1986 by Michael Mason, 3 manuals 38 speaking stops. Refitting and rewiring of Console, new solid state switching, and piston capture system, 32 channel divisional channels, 512 general channels, Stepper, Pedal divide, Minor tonal additions. Gern 1868/Walker 1938 & 1955/Shepherd 1987. 3 manuals 67 speaking stops. New electric Swell shutter motor. Refitting of Console, new solid state switching and 8 channel piston capture system, replacement of Swell drawstop action with slide solenoids. Jordan 1720/Kirkland 1906/Hill Norman & Beard 1939 & 1967, with many 18th century pipes. 2 manuals 26 speaking stops. Refitting of Console, new knobs, pistons, solid state switching, and 256 channel piston capture system, and stepper. New Choir slide solenoids, overhaul of Tromba and Trombone chests. The final stage of phased restoration, which included the overhaul of the manual actions, replacement of the Swell and Great drawstop actions with slide solenoids, and the releathering of 10 bellows. Hunter 1927, 3 manuals 47 speaking stops. Refurbishment of console, and installation of solid state switching and 8 channel piston capture system. Compton Cinema organ from the Captital Theatre Haymarket, installed in 1959. 3 manual 9 extended ranks. Restoration of Pedal chests, and releathering of bellows, following flooding. Hunter/Compton 4 manuals 49 speaking stops. 2003 Refitting of console, and installation of solid state switching and 64 channel piston capture system and stepper. Restoration of action of Positive slide soundboard, and replacement of drawstop action with slide solenoids. Rushworth & Dreaper 1961/2. 4 manuals 77 speaking stops. Rebuild with electro-pneumatic action, and solid state switching and 99 channel piston capture system. Moving of console to north gallery. No tonal alterations. Hunter 1925 3 manuals 40 speaking stops. 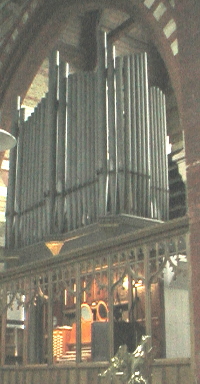 Replacement of most stops with pipes from two Binns organs from c 1909 and 1915. Tonal additions including Tuba and 32ft reed. 3/52 speaking stops. 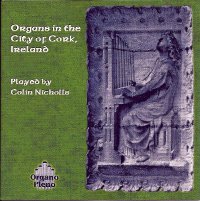 Restoration and installation of of organ by Courcelle c 1850. 2 manuals 5 speaking stops. 2011 addition of Pedal Bourdon, and new blower. 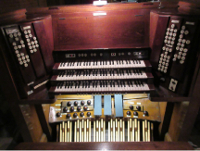 Rebuild with electro-pneumatic action and reinstatement of organ after approx.14 years of disuse. Walker 1910, 2 manuals 21 speaking stops. No tonal alterations. Refitting of console and installation of solid state switching, and 8 piston capture system. Fitting of 3 rank Great Mixture in place of Twelfth. Bryceson & Ellis/Walker 1928, 3 manuals 36 speaking stops. 2011, restoration of Swell action. 2015, Great action restored. 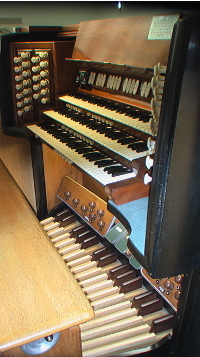 New organ in Italianate style oak case with tin front pipes designed by Didier Grassin. Incorporates Father Willis pipes from 1857. Tracker action to manuals and pedals. Electric stop and piston action. 2 manuals 17 speaking stops. Installation of solid state switching, and 8 channel piston capture system. Restoration of Swell, Great and Positive electro-pneumatic underactions. Refurbishment of keyboards and pedalboard. Robson/Bishop/Walker 1937 & 1964. 3 manuals 34 speaking stops. 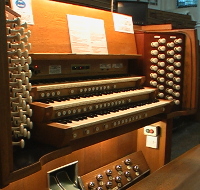 Exciting 2 manual tracker organ built 2002 by B C Shepherd & Sons, incorporating Father Willis pipework from 1857, at west end of resonant church. 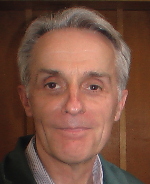 (Organist of St Alphage Burnt Oak & St Paul's Church Mill Hill). 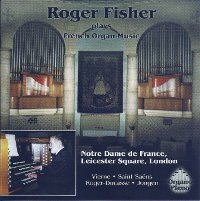 Organist of St Francis Church, Melbourne, Australia). Following Choral Evensong by St Mary's Singers at 6.30pm. An afternoon of recitals, presentations, displays, etc. to payable BC Shepherd & Sons. 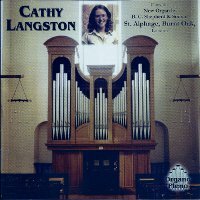 the first of many by Cathy Langston. STAR RECORDING. " Mendelssohn, Hindemith, Harris, Dupre etc. 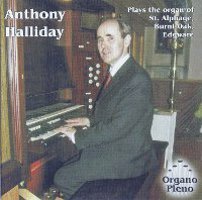 "Anthony displays masterful management of the organ and produces a range of registrations that made me think that the organ had at least twice as many as its 17 stops."